that there is help, and sobriety is possible. reports divulged that he died due to constipation induced by narcotics. doctor, that if not addressed will cause further illness and possibly death. called, “acute propofol intoxication” given to help Jackson sleep (Duke, 2010). the outcome can obviously be deadly. addictions of the one’s they love, often feeling helpless in their efforts. “learning can occur without a change in behavior” (Social Learning, 2011). Maybe this is why we tend to be ‘people watchers’; we learn while laughing. who will reinforce that bad behavior, still leaving us to make our own choice. We choose from whom we want to learn from, or model. Americans are dying from abusing these medications. capacity to make good choices. repeated. [Reinforcement] can be either positive or negative”. from the environment that decrease the likelihood of a behavior being repeated. Punishment weakens behavior” (B.F Skinner, 2011). wrongful behavior. Relearning adults however, is a bit more complicated. offering help, then it is likely the addict will not be successful in sobriety. of benzodiazepines cannot be undone. detox will burn it into the psyche. cause dehydration; furthermore, it will help clear out the system. person’s sobriety is destined to fail. change, and positive reinforcement addiction can be overcome. BJC. (2011, May 9). Benzodiazepines. BJC behavioral health. BJC Health Care. Benzodiazepines: Profile. Center for substance abuse research. Jackson dead at 50 after cardiac arrest. CNN Entertainment. (2011, May 8). Operant conditioning (B.F. Skinner). Psychology.com. May 7). Social learning theory. University of Texas. (2011, May 10). Why can’t I stop? Dealing with addictive behavior. This entry was posted in CORPORATE, Politics and tagged Anna Nicole Smith, Benzodiazepine, Diazepam, Elvis Presley, Health, Michael Jackson, Narcotics, Prescription drug, Substance abuse. With these sorts of drugs, it’s possible to have off-and-on withdrawals up to 10 years after being completely free of the medicine. And, sometimes we don’t realize we’re stressed. I would speak with your doctor on this issue. There are tests that can be done to find if you have ‘brain damage’. That’s a shame. It must meant the truth hurt? I believe those cells will repair with time. Though, I would have to do some research to find out. Most times, after about a year or two, your memory and thought process improves. That’s funny, lol….Thanks for sharing! This is a fight many fight my friend. I wrote this as an assignment for class…I chose it because of my experience with Benzos…I had no idea how many this drug class effected until posting it. I enjoy hearing all the survivor stories, and jump at the chance to help anyone afflicted with this addiction. This assignment turned out to be a great learning and sharing experience for me. I appreciate the donation offer 🙂 Very nice of you! However, I do not take donations…this is my passion. If you would like to give it to Child Cancer Research in my name….that would help. Let me know if there is any subject you’d like to see me write about. Your current article offers verified helpful to myself. It’s quite useful and you’re naturally really knowledgeable in this field. You possess popped my face in order to various thoughts about this specific topic together with intriquing, notable and reliable written content. Thank you for the article. Great information but do you have any research info or other articles on deaths or other social resultant data? the # of deaths . Do you know who main manufacturers are? You should launch a wide campaign–for some reason these benzo issues and deaths are not getting press. Is it big pharma? It is big pharma, doctors, patients, FDA, pharmacies….There are numbers beyond belief! I was prescribed Librium 21 years ago, for alcohol issues and anxiety (i was 19 years old at that time). I was not called back in for 12 months, my anxiety issues were helped and i had no desire to stop taking the medication, my life was better, yet i still had no idea of the impact this would have on my life later on. Maybe so, yet this is not the case. 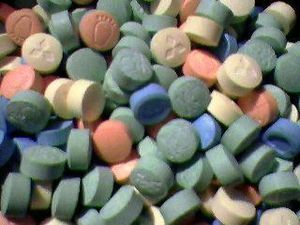 In the 21 years i have been taking Librium i have never once taken them for recreational value, there is simply no “fun” in taking benzodiazepines (well, certainly not from Librium that much i can say after all these years). I am alcoholic and 7 months sober, yet i am now in my second month of tapering off the Librium, i never used it with alcohol, yet i never took this drug for a high of any kind, i am literally physically dependent on Librium. Detox facilities seem like the obvious choice yet after doing much research, yes, the drug may be removed rapidly but the virtually inevitable protracted withdrawals force patients to re-instate, with good reason too, how would anyone like to have their nervous system rendered without function for months on end? I guess when i was 19 i trusted my doctor, yet back then i do not think he knew yet most doctors prescribe without question… it is only now that some warnings have been issued to doctors to not over prescribe this poison, because that is what it is, poison and many have no idea what they are getting themselves into, dependence on these drugs can form in less than two weeks and some unfortunates have a hard a time coming off as a long term “user” like myself… but drug addict is not the problem here… Benzo´s just don´t work that way, the only reason to increase dosage is to prevent tolerance withdrawal, believe me, there is no party in this group of drugs… more people need to know of the dangers and know the facts, i wish i had internet when i was 19, at least i could have researched the “mild” pills and i would have disposed of them right there and then… they are just poison. Thank you so much for your comment. I am finding more and more that this is the case with doctors. I am now going through my third year on pain killers again. These doctors either do not realize the impact of these medicines, or simply do not care; I am starting to think the latter. I am in my third round of cancer, and they just keep writing more narcotics. I am at my wits end with them! I am now in the stages of tapering as well and the effects are horriable at best. I have told them many times that I AM an addict, yet they say there is no other option for me. When I wrote this article, I was unaware of the widespread problem with physical addiction (physical dependence is just sugur coating it -it is still addiction). These drug pushing doctors should be held accountable for their perscibing methods! I am sorry for the trouble that you have had with Benzos -and librium is a Benzo. Most people do not abuse the medicine -but are still physically addicted. These pills are poison at best; furthermore, they are killing people. I am in the process of writing another article about this subject; in fact, I will never shut up about it until something is done to change it! Our stories are all to familar; comment after comment on my blog posts prove this is a worldwide problem -and it has to stop. We must all band together and put an end to these practices! And, there is no such thing as a “mild” benzo; these doctors are liars and drug pushers that just want the ‘kick-backs’. As you can see, I am more than upset at finding the problem is worse than I thought! I guess I assumed that this problem only existed in the U.S. It is worldwide! They started giving me these drugs at 14, I am now 42, and am still fighting for sobriety! There is something wrong with that! Thank you agian for your comment, and please keep an eye out for the next article on this subject; trust me -you don’t want to miss it! I am going to start naming names and pointing fingers! This has to stop -period!!!! I apologise if the tone of the blog I left was a little blunt but I was actually asked by a benzo victim in the UK to address your article as it was full of wild addiction theories and as you can appreciate caused them some distress and anger as you implied that prescribed benzo addiction was drug misuse which it is not. I would advise for reading material that you visit benzo.org .uk and read the Ashton manual. Professor Ashton is a leading world expert on benzodiazepines and is Emeritus Professor of Clinical Psychopharmacology at Newcastle University and her work is referenced in most benzo documents and books and is the basis of the successful diazepam taper used worldwide as a withdrawal method. benzo.org.uk is the leading website for information including links to other sites and resources. The http://www.appgita.com website I left in my last blog is an official site containing all correspondence regarding fighting a political battle in the UK in order to elicit action from the Department of Health and the Medicines and HealthCare Products Regulatory Agency, our drug regulator. This has been a long tough battle in which I became deeply involved over a year ago and I believe it is unique in so far as no other country has got this far yet campaigning for help for victims of prescribed benzodiazepines and exposing the medical profession and pharmaceutical companies. As far as your “A” goes for this presentation, without wishing to sound blunt again, I can only say that the person marking it must have been remarkably ignorant on the subject. On a basic level, a neurotransmitter called Gamma Aminobutyric Acid governs response to stimuli. Benzos become embedded on GABA receptor sites and increase the effectiveness of GABA. On withdrawal, especially after prolonged use, these redundant receptors have lost their affinity for GABA and until they regain that, the brain cannot calm itself and remains in a state of hypersensitivity. It is a chemical reaction and is unique to benzos and this is what makes withdrawing from them so difficult. This is why I left my last reply regarding your long and erroneous addiction theories. Unfortunately, drug treatment centres in the UK have fallen into a similar trap. When you come off benzos after long term use, you get withdrawal symptoms, which can be prolonged and crippling. It is as simple as that. Hope you find benzo.org.uk informative; it is a massive site so you will have to spend some time exploring it. It gets a million hits a year. Thank you so much John. I agree with you on the fact the Professor of that class is ignorant on the subject of benzos; he was an Ethics Professor who has no experience with the drug. Since your last post, I have visited the http://www.appgita.com site; very informative in its own right; moreover, I have done more research on this subject. The reason I started being prescribed benzos was because of anxiety and PTSD -I was hooked from jump street. What I do not understand is why doctors prescribe these drugs so easily; when I quit taking them, I jsut quit -no lowering the dose. I locked myself in my appartment for three weeks and dried out -it was the worst three weeks I ever had! Even now, I have to stop them from giving them to me, simply by telling them I will NOT take them. I even told the drug store I was allergic to benzos, that way if the doctor slips something by me, they catch it at Wal-greens. As for the A: I think I got the A for pointing fingers and placing blame (ethics), as well as for presentation. I am not blaming the Professor that graded the paper, he was just as ignorant as I on the subject. I am getting wiser as I go -research is a writer’s best friend! Thank you for the link to benzos.org and benzos.org.uk, I will certainly visit these sites. Let me also apologize for my response to your last post. Although your tone was rough, I should expect such responses if I am informing my readers ignorantly. When a writer posts something for the whole world to read -they should expect that not every response will be a favorable one. All I can say is that I will keep an open mind and look at all points of view; hopefully as I move forward in my degree program my knowledge and writing will improve. Thank you for speaking your peace -it made me research the subject and understand it better. I wish you the best John! I took the liberty to go and read your blog and cause. After reading your posts -I will have to say, you are right -I did not want to be hooked on Benzos, and as you -I have never taken another. This cause of action that you speak of could be very usefull in the U.S.A. While in psychology class and in therapy -this concept was never taught to me -or even spoke of. It should be! I am open-minded -and thankfully so. As I read through the posts -it was amazing how it all started to fit. We only know what we are taught, until we learn otherwise -thank you for showing me another way of looking at this. For many years I have tried to put my past addiction into perspective -so that I would not ever be in that position again; that is hard to do when you are not taught the proper way of looking at the subject. I will be doing more research -and even a possible rewrite for this article. Again, I thank you for the quidence toward the truth of the matter! I will be keeping up with your cause -and may want to see if this concept can be pushed in the U.S.A. I would however, appriciate a tad bit more tolorence on your part to those of us who are ignorant to the truth -it might help you get your message across to those of us who were just simply taught wrong. Your cause is just sir -but the attitude is not. I thank you both for your comments and concerns. I first would let you know that I did not write this as my personal opinion about Benzos; this paper was written for psychology class in college -and it recieved an A. Furthermore, I was addicted to Benzos -and vowed to never take them again. It is a tough road to hoe my friends -I KNOW that! If there are sites that you can suggest for me to become more educated about the subject -I would be more than open-minded enough to go and re-educate myself on this subject -which may have been a better aproach than the comments that you left. To me that is not a great way to change a mind -only prove you extremist with an attitude, sirs’. As stated, I would love to read more about your cause to see the flaws you so judgementally commented on. I am in the learning process, and am open minded to all ideals -not just my own -you two ought to try that as well! You hit the nail right on the head. I’ve been studying benzos for over 25 years now. This writer does not have the facts correct. As an ex dependent of the prescribed benzodiazepine lorazepam and a national campaigner (www.appgita.com) I wish to say that this blog puts forward the same ridiculous addiction theories presented by the Department of Health in the UK. Benzos have crippling withdrawal symptoms when you stop taking them and these drug seeking theories only further add to the already deep seated misunderstanding that prescribed tranquilliser addiction is drug misuse. In the year it took me to get off loazepam I was never once tempted to stray from my taper and I have never thought about taking benzos since. It is precisely the sort of ignorance demonstrated in this blog that makes it so hard for campaigners to get acknowledgement, understanding and appropriate help and perpetuates the myth that prescription tranquilliser addiction is drug misuse.